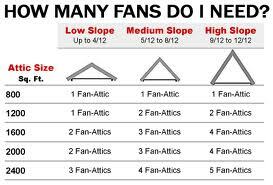 Trapped attic air can easily reach 150 degree or more. The BROAN 35316 gable mounted attic ventilator will remove super-heated attic air, making any home more comfortable, whether it’s air conditioned or not. In those homes that are, the air conditioners will run less and won’t have to work nearly as hard. 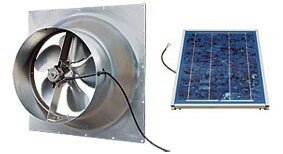 And this powered attic ventilator is as efficient as it is dependable. An adjustable built-in thermostat operates automatically giving a quiet, high performance operation for inside-the-attic application. Combine with the specially designed 433 Automatic Shutter to get optimum efficiency and performance. Powered by an advanced 10-watt solar panel for maximum energy capture. Features a high-performance brushless DC motor for increased efficiency and a five-wing polymeric blade design for quiet operation and reliable performance. 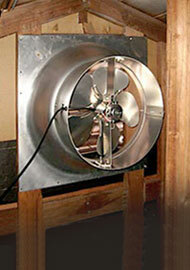 Solar Star interior mount attic fans use the same solar technology and body design as our roof mount models. An advanced 10-watt photovoltaic solar panel captures the sun’s energy to propel the high-performance motor. Lightweight, corrosion-resistant polymeric fan blades resist rusting and minimize vibration for smooth, quiet operation. Engineered to mount inside your attic, this discreet model can be used to convert passive gable, dormer, powered and whirlybird vents into an active, solar-powered venting system.